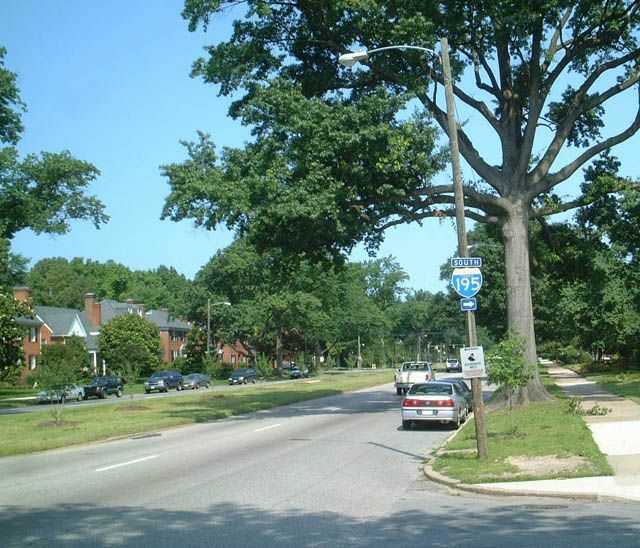 Broad historic boulevards and parkways often function as high-speed thoroughfares, even though their adjacent land uses may be primarily residential in nature. 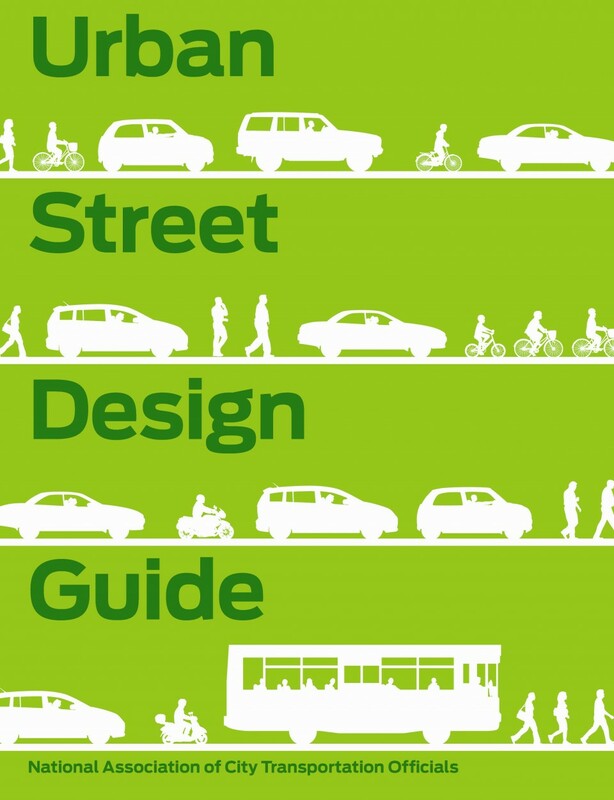 In many cases, these streets have excess width, underutilized on-street parking, and too many travel lanes. 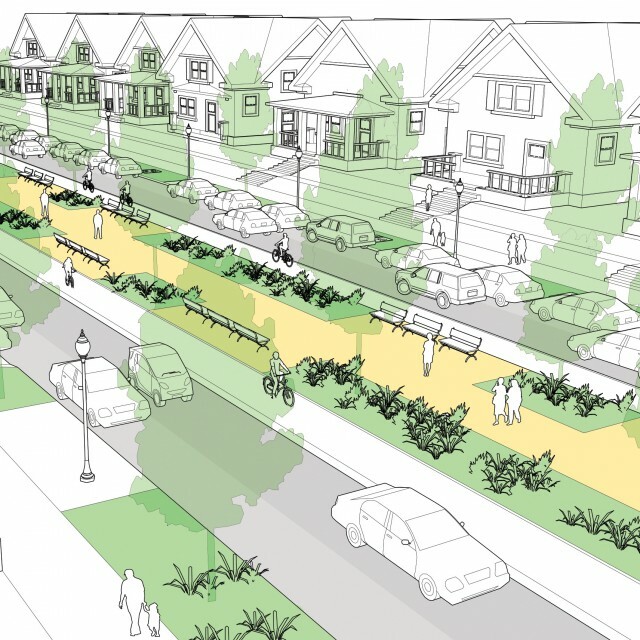 Retrofit residential boulevards by expanding or activating the median, adding curbside or left-side bike lanes, and curb extensions that provide direct access from homes to the center median. 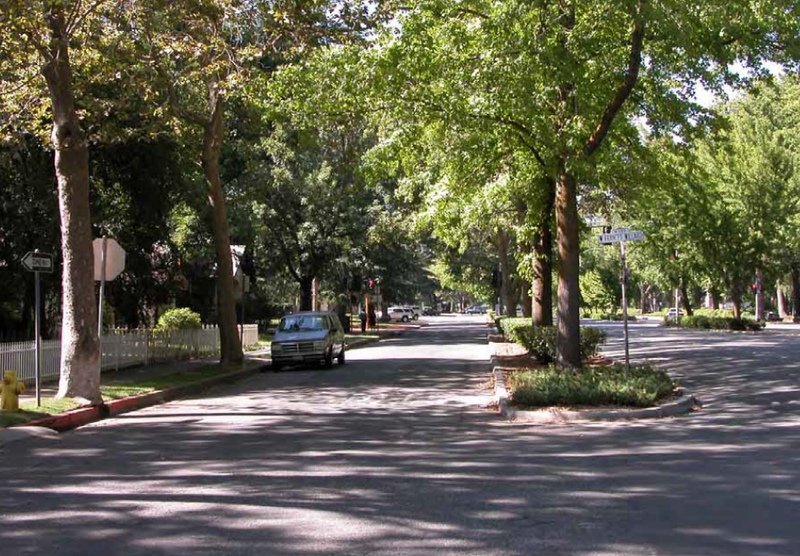 The street illustrated below depicts an 80-foot roadway within a 110-foot right-of-way. 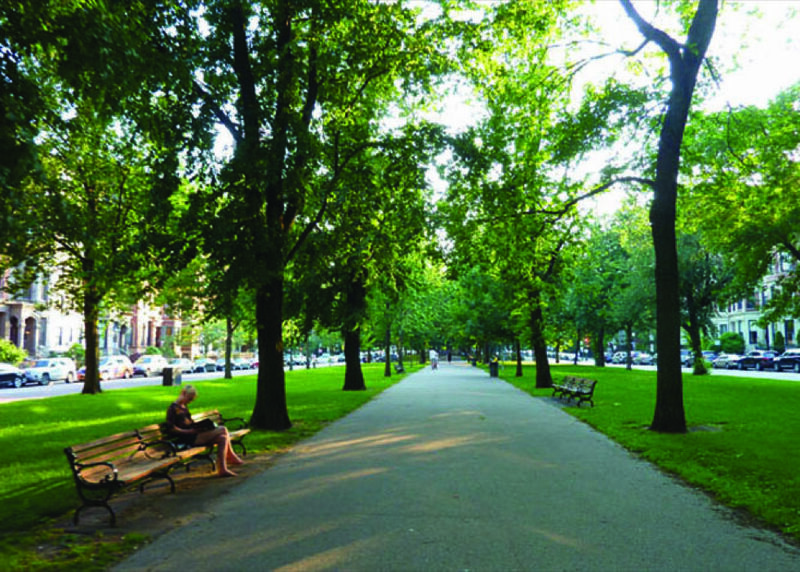 Broad central medians can become a community focal point as well as an active space for recreation, exercise, and leisure. 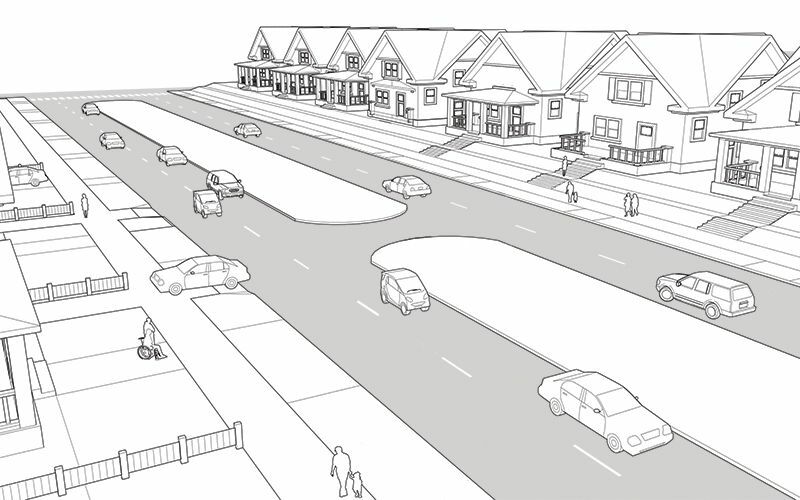 The illustration above depicts a broad residential thoroughfare in an older neighborhood. The central median is underutilized. While traffic volumes may not be high, speeds are, creating highway-like conditions in a predominantly residential area. 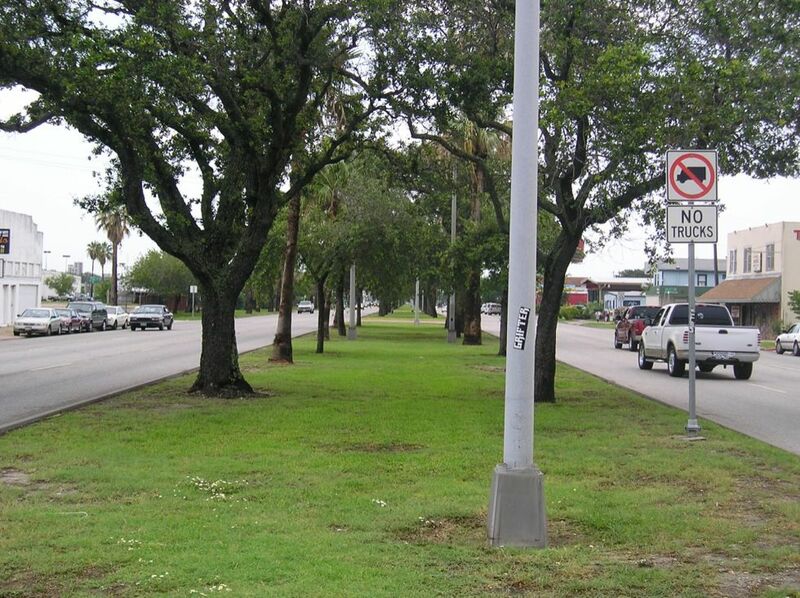 1 Many historic central medians are underused and lack recreational space. High speed crossings make it difficult for residents and children to safely access the median. 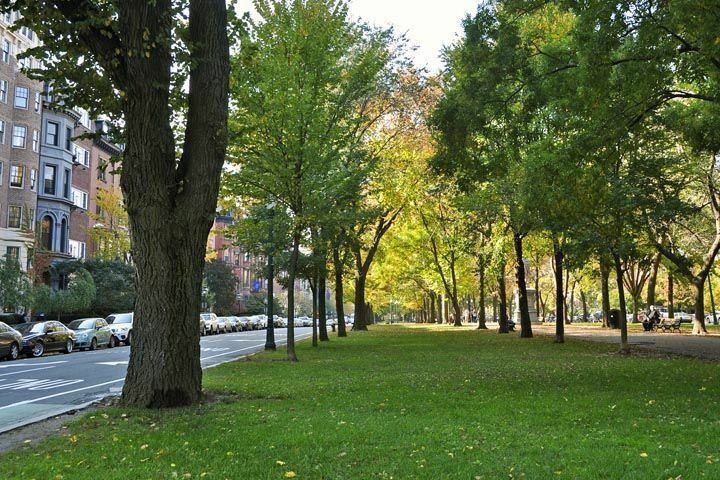 While parkways and boulevards provide natural links in an active transportation network, many lack safe and adequate paths for recreational use. 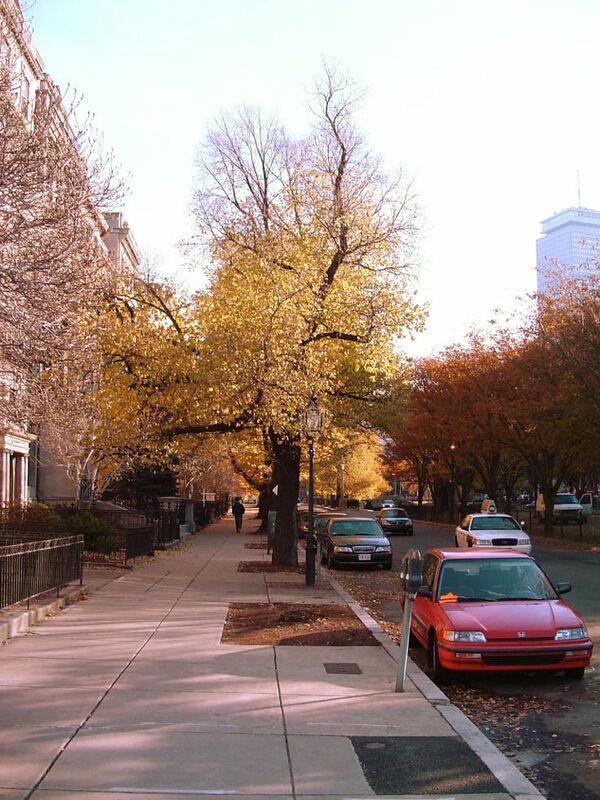 Parking demand and utilization may vary depending on the amount of off-street parking available to residents. 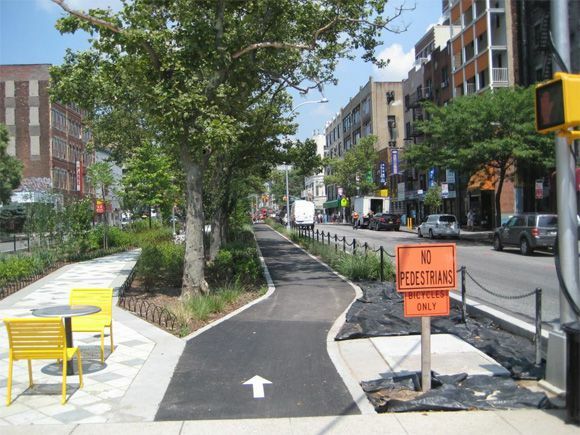 2 Activate the central median with plantings, street trees, walkways, and seating. Broad central medians can become a community focal point as well as an active space for recreation, exercise, and leisure. 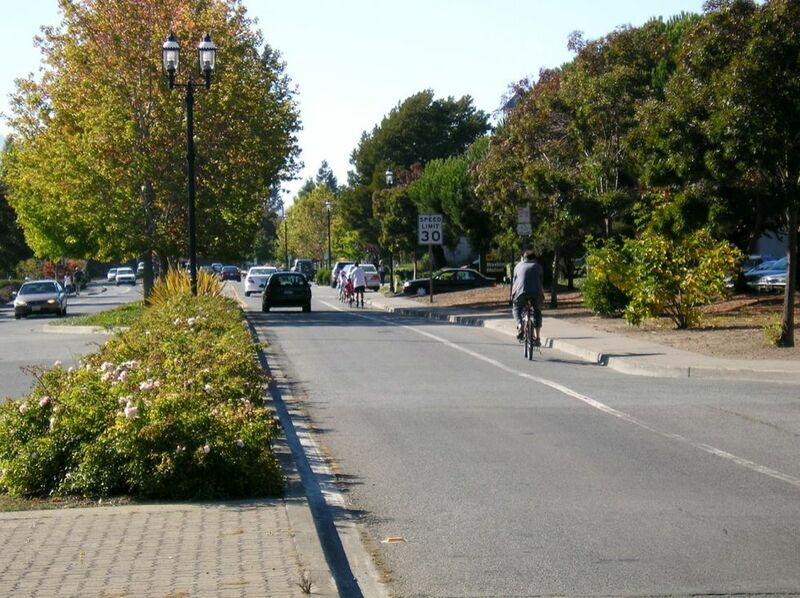 Provide curb extensions and/or midblock crossings to make it safer and easier for residents to access the median. 4 Provide curbside parking for residents. 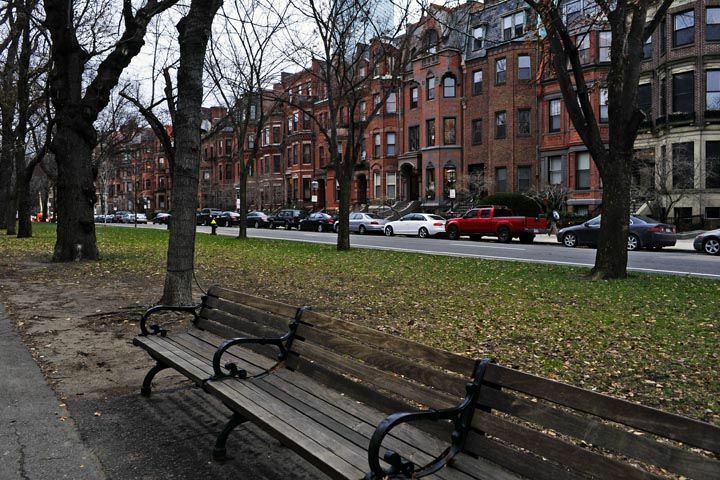 Curbside parking provides access to the recreational median for visitors, space for residents’ guests to park, and narrows the overall cross-section of the road, reinforcing its residential character. 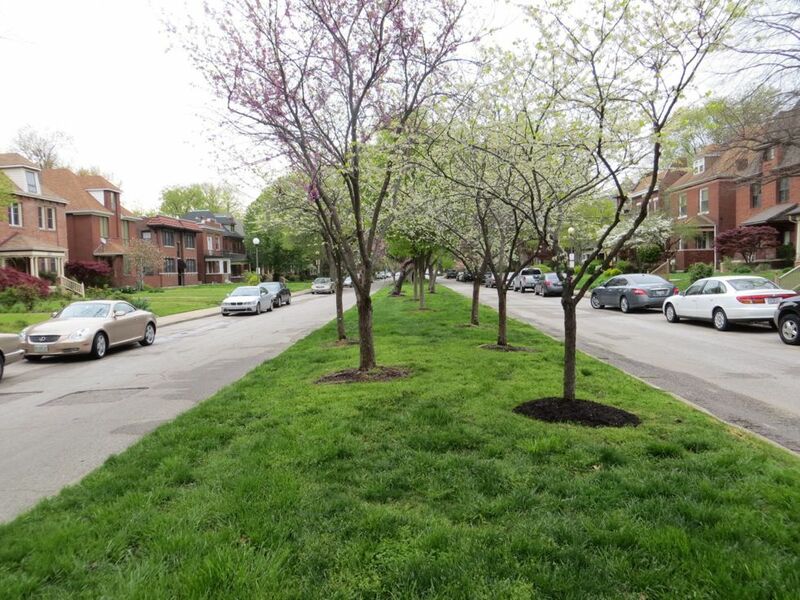 Where on-street parking remains underutilized, consider adding curb extensions, bicycle corrals, or expanding the sidewalk to take advantage of the excess pavement. 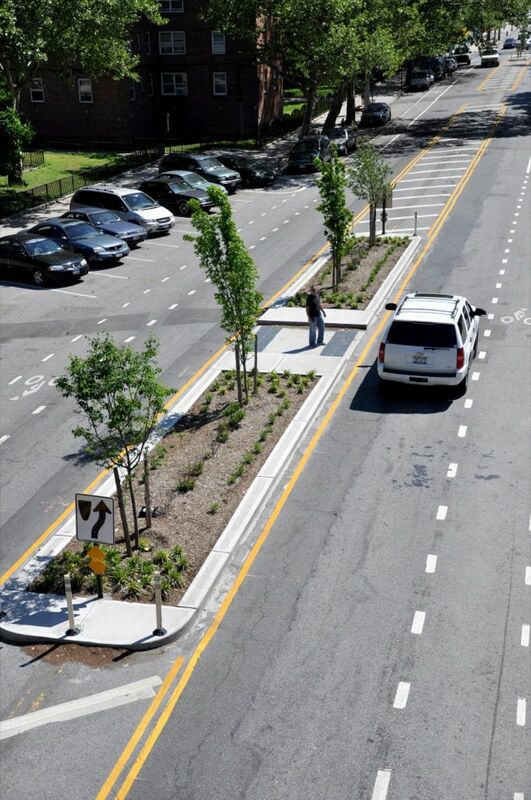 See “Bicycle Facility Evaluation,” (District Department of Transportation, Washington, D.C.: 2012) for a case study of median bike lanes installed on Pennsylvania Avenue. City of Omaha Parks and Recreation Department. Omaha’s Historic Boulevard System: Master Plan. Omaha: 2013. District Department of Transportation. 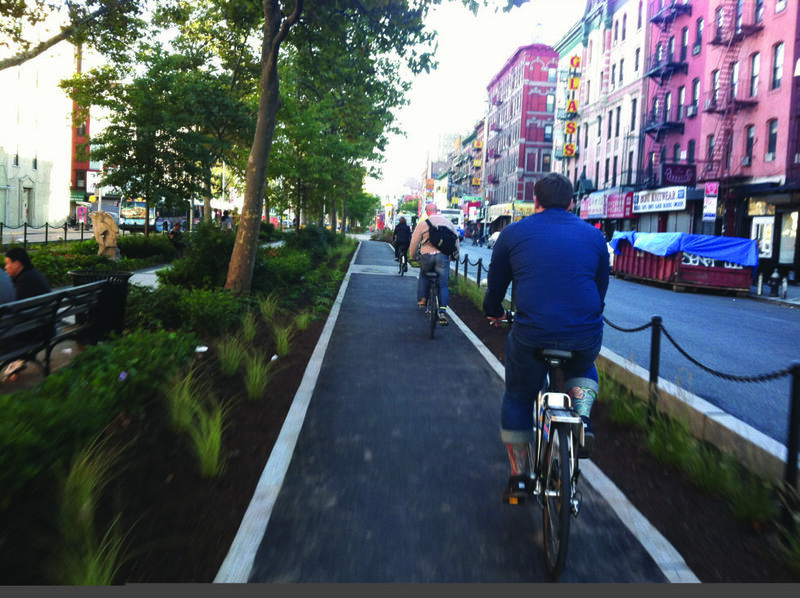 Bicycle Facility Evaluation. Washington D.C.: 2012. Orange County Government Florida. Avalon Park Blvd Corridor and Neighborhood/Community Commercial Design Standards. Orlando: 2007. Urban Design Center of Northeast Ohio. “Clifton Boulevard Streetscape Enhancement Project.” Ohio: Urban Design Center of Northeast Ohio, Kent State University, 2006. References for Residential Boulevard: 4 found. Orange County Government. 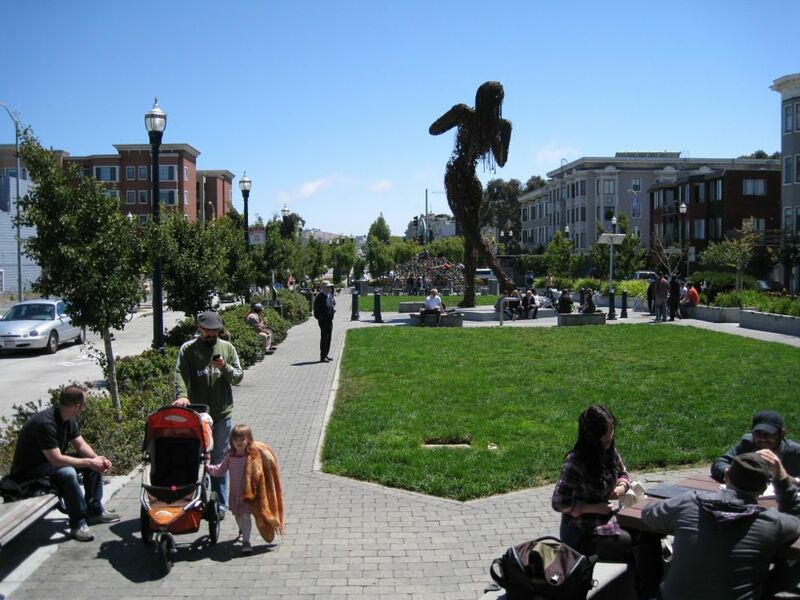 "Avalon Park Blvd Corridor and Neighborhood/Community Commercial Design Standards." Planning & Development Division, Orange County Government, Orlando, FL. Urban Design Center of Northeast Ohio. 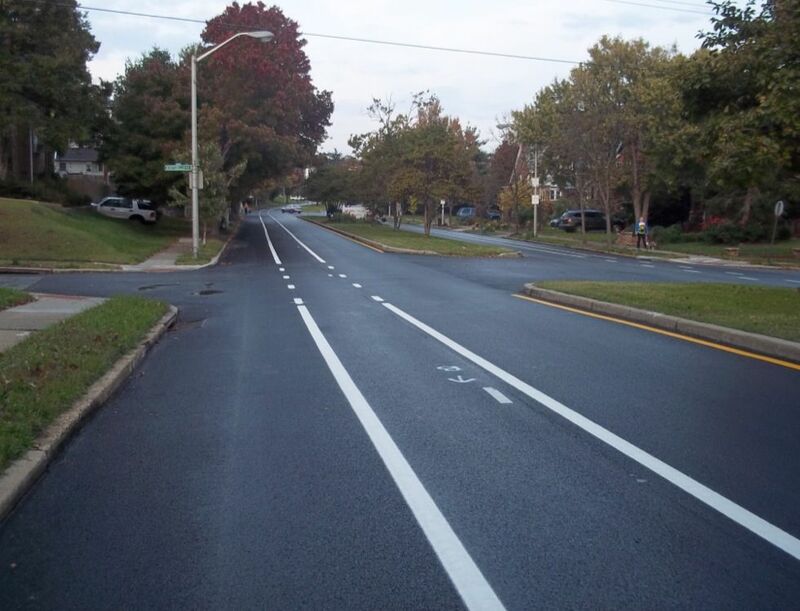 "Clifton Boulevard Streetscape Enhancement Project." Prepared for the City of Lakewood Department of Planning and Development and the City of Cleveland City Planning Commission, Kent State University, Kent, OH. City of Omaha Parks and Recreation Department. "Omaha’s Historic Boulevard System: Master Plan." Parks and Recreation Department, City of Omaha, Omaha, NE.